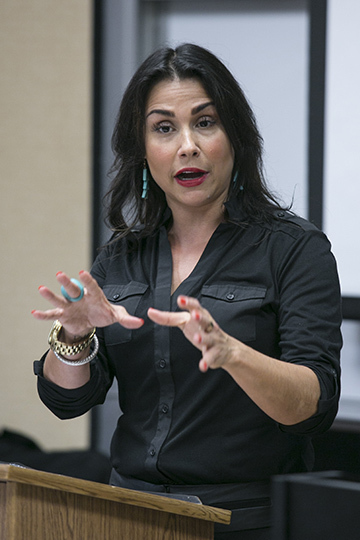 Samford University’s Department of Journalism and Mass Communication (JMC) held the inaugural sports media lecture Nov. 2 with speaker Rachel Baribeau. During the lecture, “My Life as a Multimedia Sports Journalist,” Baribeau spoke about her wide variety of experience in the sports media world and encouraged students to work hard for what they are passionate about. More than 150 students and faculty attended the lecture. There was also a question and answer event for students interested in a sports journalism career and a reception before Baribeau’s lecture. Baribeau spent time connecting with students and offering mentor opportunities. During the lecture, Baribeau encouraged her audience with some advice.